Getting Visa into your preferred country destination could sometimes become a headache especially if you are not well guided on what and what to do or what not to do before applying for visa into the country. Studies shows that most reasons why people get denied visa is one way or the other related to what they didn’t do right before applying based on lack of necessary information. Yet; there are numerous stories of people who applied for visa for the first time into same countries, and it was out-rightly granted. The question is, which side would you rather want to be; Granted or Denied? With our amazing years of experience in the travel industry, Hotel.ng brings to you a “how-to” guide for someone trying to get a visa into some countries such as; Nigeria, India, South-Korea, Malaysia, Kuwait, Italy, France, Germany, Georgia, and Cyprus. There’s the dream of travel to these countries afore mentioned and more, but there’s also the reality of the paperwork, and other necessary actions involved. Preparing the necessary supporting documents for a visa to one country is already quite laborious. If you’re traveling to more than one country and will require different visas, well, that only multiplies the minor inconveniences you’ll have to go through. Before touching on visa applications for each of these countries, Here are some ways to prepare for the visa application process without dampening your travel spirit. Marriage certificate (if annulled, you will probably need a copy of your Marriage Certificate annotated by the NSO certifying that the marriage was declared null and void. Update the list of countries you've visited the way you would update your CV. Many embassies require you to list the countries you have visited within a certain number of years. Some embassies will specify a time frame, some will not, so it is best to start from countries you have visited from 5 years back. Keep a soft copy of this list in your computer and update it each time you travel. 3. 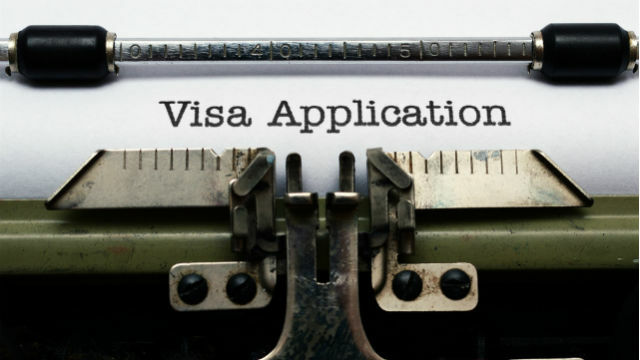 Make a checklist of the visa application requirements – and triple check that! When applying for a Schengen visa via the Italian embassy, for example, a checklist of requirements (which you can download along with the visa application form) is mandatory in the list of documents to be presented to the visa processing centre. It is not a standard requirement for all countries, but a checklist is definitely a good thing to have on hand. Make one of your own if your destination country does not require it. Double and triple check each requirement, line by line if you have to. It will be worth the trouble because there are varying specifications for each country. Look out for fine print like required payment mode: Is a manager’s check required? Can you pay in Philippine pesos, US dollars or Euros? Tip is to pay in US dollars so you will not be subject to currency fluctuations. Remember to check for exact amount, e.g. if it says $58, bring $58 as some embassies will not offer change. Double check the location of the visa processing centers as their addresses on the application forms may not be updated. I went to the Dubai visa processing agency along Arnaiz Road, as specified in their application form, only to be told that they had just moved to a new office in Pasong Tamo extension. Embassies may require you to prepare a letter to the consul to introduce yourself and state your reason for travel. Make a standard template for this letter of introduction, save on your “Travel Docs” folder and just fill in whenever you need to apply for a visa. Find a travel agent you can trust and make him or her your travel buddy. She can act as a semi-one-stop shop and help you book tickets and hotels that you won't have to pay for yet (you will want to wait till you get the visa before paying for a ticket or hotel), and facilitate travel insurance, which is now a requirement in Schengen countries. 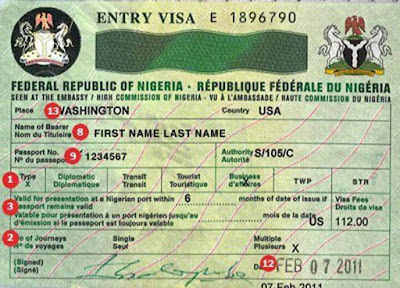 Nigerian Visa Information: How to get a Nigerian Visa, Requirements, Procedures, Visa Types. Nigeria is an African country on the Gulf of Guinea, has many natural landmarks and wildlife reserves. One of the most recognizable sites is Zuma Rock, a 725m-tall monolith outside the capital of Abuja. The economic importance of Nigeria’s cities has resulted in the migration of people from other countries to cities in the country. If you will like to go to Nigeria, you must, first of all, know the steps involved in applying for a Nigerian visa. What are the types of Nigerian Visa? If you will like to go to Nigeria, then you need to know the available types of Visa and which the one that pertains to you. The Nigerian Transit Visa is available to citizens of all countries except ECOWAS Nationals who do not require the visa to visit Nigeria. Also, other countries which Nigeria has entered into visa abolition agreements. Foreign travellers wishing to enter Nigeria for an onward destination outside the country will require the Nigerian Transit Visa. The Transit Visa obtained on Arrival is valid for 48 Hours. Passport valid for not less than 6 months with at least 2 blank visa pages for endorsement. Two (2) recent passport-sized (35/40mm) photograph. Confirmed ticket of connecting flight within 48hrs. 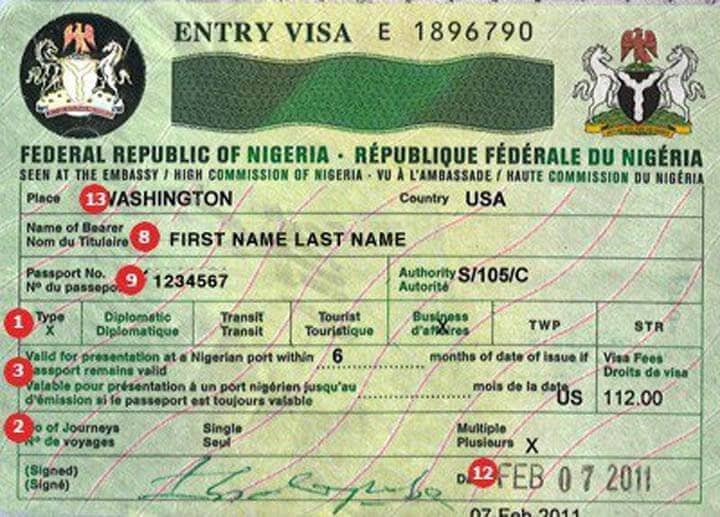 The Nigerian Business Visa is available to foreign Travelers who wish to visit Nigeria for the purpose of Meeting, Conference, Seminar, Contract Negotiation, Marketing, Sales, Purchase distribution of Nigerian Goods, Trade Fairs, Job Interviews, Training of Nigerians (Humanitarian Services), Emergency/Relief work, Crew members, Staff of NGOs, Staff of INGOs, Researchers, Musical Concerts. The Visa is for foreign travellers who wish to visit Nigeria for the purpose of Tourism and travellers who wish to visit family and friends in the Country. The Tourist Visa is valid for 90 days. For the purpose of Tourism. To visit family and friends. Invitation letter from a host in Nigeria. 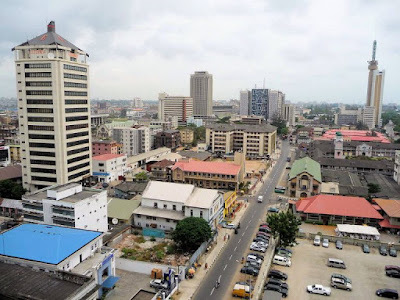 Address of host in Nigeria or Evidence of hotel reservation. The Temporary Work Permit (TWP) is available to experts invited by Corporate Bodies to provide specialized skilled services, such as after-sales Installation /Commissioning/ Upgrading/Maintenance/Repairs of equipment and machinery, Training /capacity building for Nigerian staff, Audit of machinery/ equipment and financial records. Applicants for this Visa might be invited for an interview. The Temporary Work Permit is valid for 90 days. 2 passport sized photographs (35/40mm) on a white background taken within the last 6 months. Expatriate employees of Companies and their dependents. Expatriate Technical officials of Missions. Formal application for STR Visa from the Employer / Institution accepting Immigration Responsibility. Valid Passport with a minimum of 6 months validity and at least 2 blank pages for visa endorsement. 2 passport sized photographs (35/40mm) taken within the last 6 months on a white background. Letters of Offer of Appointment and Acceptance of Offer. Educational qualifications and Curriculum Vitae. The Diplomatic Visa is for visiting Heads of States and their families, Top officials of Government and their families, Accredited Diplomats and their families, and Holders of United Nations / International Agencies Diplomatic Passport and Laisser Passez. The Diplomatic Visa is valid for 90 days. Diplomatic, Official or Standard (for dependents of Diplomats) passports valid for not less than six (6) months with at least two blank visa pages for endorsement. Note Verbal from Foreign Ministry of applicant’s home country or appropriate International Organization Also, you must know the types of visas available. To apply for a Nigerian visa, there are certain steps that applicants must make payment of necessary fees, as well as applicants biometric information and properly filled form, should be provided. What are the steps to apply for a Nigerian Visa? The following steps explain how to go about applying for a Turkey visa from Nigeria. Verify the visa type you are applying for. 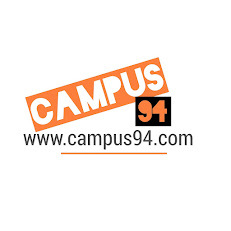 Download and fill out an online Nigerian application form. Upload the correct passport photo specification. Attach the required supporting documents. Put together all the necessary documents. Pay the stipulated visa fee. Go to the Nigerian Embassy. Take your visa payment receipts, passport and other documents to the Nigerian Embassy in your Country of abode on your slated interview date for your Visa. 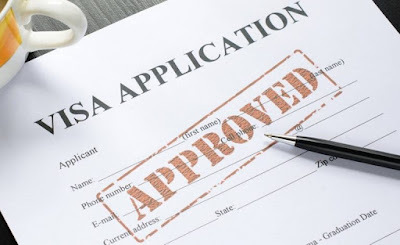 To help with your visa application making the application process stress free, and for more inquiries, you can send us an email: visa@hotels.ng and an agent will get in touch with you as soon as possible. India is a popular country in the Southern part of Asia. It is the second most populous country in the world and has its capital in New Delhi. The largest city, Mumbai has the country’s largest population. , and is home to quite a number of tourist attractions. English and Hindi are the most widely spoke languages in the Country, as more than half of the country’s population practice Hindu. The country also has outstanding medical facilities and personnel, little wonder why it has received a lot of India visa application from individuals seeking medical treatment, study, work, our visit. The Country currently boasts of a budding economy and has one of the fastest growing educational systems in the world. Do you wish to make your trip to India, a memorable and stress-free one and don’t know how? Or are you looking at applying for a visa to the Country? Then look no further as we have compiled resourceful details on how to go about your visa application and journey to the Country of increasing opportunities in good time. What are the Types of India Visa? India visas are divided into two major categories. They include the long-term and short-term visas. The short-term visas are valid for 90 days from the day of issuance, and the long-term visas are for persons who are going to stay for a longer time in India, valid for one year or more. The short-term visas are majorly for visitors, tourists, persons needing medical attention or persons on short official visits, while those applying for long-term visas are looking at traveling to India for study, or seeking permanent residence. To give you a better understanding of these visa types, here’s a list to help. If you wish to travel to India for leisure, tourism or to visit relatives and friends, then you’ll have to apply for this visa type. Bear in mind that this your stay in India with this visa is for 90 days, and anything other that may be termed an illegal stay. To help with your application, its important that you have a letter of invitation for the person you sought to visa, and have a detailed travel itinerary if you are traveling for tourism. A foreign technician/expert coming to India in pursuance of a bilateral agreement between the Government of India and the foreign government, or in pursuance of a collaboration agreement that has been approved by the Government of India. A highly skilled foreign personnel being employed in the IT software and IT-enabled sectors. CEO/Senior executive of a multi-national company may be granted Employment Visa. A person of Indian origin; spouse and children of a person of Indian nationality or origin. Dependent of a person holding an Employment visa. An applicant seeking a visa for Auroville Foundation. An Applicant seeking admission in yoga, Vedic culture or Indian systems of dance and music. A prospective applicant, who has purchased property in India with the approval of Reserve Bank of India and registered his/her property in India. Members of sports teams and sports-persons. Applicants traveling to India under ITEC or any other Government of India Scholarship Programme. There are certain requirements that should be in place before the application process can be valid. Some of these requirements apply to some specific visa types. All visa applicants need to get a valid Nigerian passport if they don’t already have or renew the passport if it has expired. A properly filled and signed India visa application form. 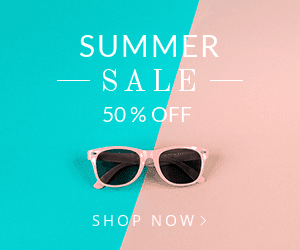 A valid Nigerian passport with two blank passport pages – valid for 6 months. A colored copy of the data page of the international passport. Photocopies of the Nigerian Passport visibly showing the applicant’s passport number, picture and bio-data pages. One(1) recent passport-photograph of the applicant. Invitation letter from Indian host. Applicants need to note that other supporting documents would need to be presented. These documents vary according to the visa type. To find precise visa requirements for each visa type. The following are the key steps to take when applying for whatever Indian visa type. Step 1: It is advised that you be very clear on your ‘purpose of travel’. Step 2: Download and fill the visa application form. Step 3: Affix your passport photograph. Step 4: Book an appointment. Step 5: Visit the Indian application centre to submit your application form and the other supporting documents at the Visa application centre. Step 6: Pay the visa application fee at the Visa application centre. Step 7: Provide your biometric information. India Visa application forms are available for download on the India visa website. The form should be printed on two pages, and both pages should be signed. The applicant must sign under the photo on the first page, and at the bottom of the second page. Processing fee by an outsourcing agency. During the online registration process, at the end of the process, the basic fee will be displayed. However, this fee is indicative only and the final visa fee will be charged upon submission of your application at the respective counters. Please note that the Fee once received are non-refundable even if the visa application is withdrawn, not granted, or if visa issued is of shorter duration of a period than applied for or otherwise issued or returned at a time or on terms and conditions that may vary from those sought by the applicant. Upon receipt of your Visa Application through Indian Visa Application Center or directly, the Indian Mission/ Post requires a minimum of three working days to process the application and issue a visa depending on your nationality, excluding special cases. Upon approval of visa application, the passport is collected from the Visa Application Centre. Please visit https://hotels.ng/guides/visa/ for South-Korea, Malaysia, Kuwait, Italy, France, Germany, Georgia, Cyprus, and other countries visa guide.